Gonna keep this short - final deadline for exam board marking and I have lot to do. I deliberately haven't got a lot this week as I am hoping for many exciting things tomorrow! (I get more excited about birthdays than anyone else I know) This took much will power on my part especially as I went round two fab book shops today - waterstones in cambridge and Heffers in Cambridge. Not YA but I have read all of his other stuff - Mum has actually nicked this already so I don't know when I'll get to read this. Great selection of books. 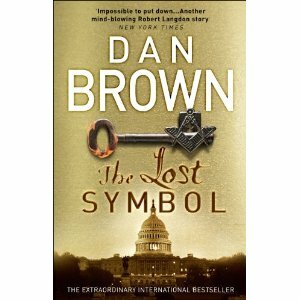 My husband bought me The Lost Symbol for my bday last year...because he wanted to read it. :-) I still haven't read it. But I will some day. These sound good! Here is my IMM! Plus, I have a new meme that I'm trying to start: When I'm Not Reading. Hope you can check it out. Enjoy your books! 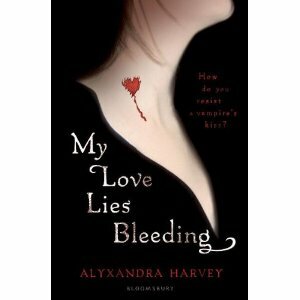 Hi Kirsty, hope you enjoy My Love Lies Bleeding. I hear great things about it. I have a copy but haven't got around to reading it yet. By my powers of deduction, I have worked out that you are a UK blogger and I am going to add you to the list on my blog. Looks like you had a good week. I've already started Glimmerglass, and like it so far. Hope you enjoy reading! Isn't readitswapit great? I get such great things there. I've been trying to decide if I should read My Love Lies Bleeding and the sequel. I'm on the fence about it!